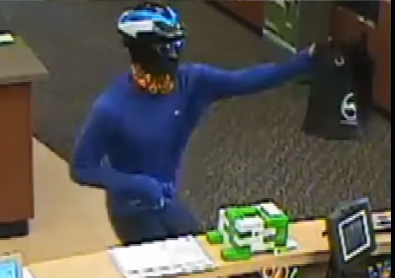 Police and the FBI are searching for a man who robbed a Omaha Bank of the West branch. Officers responded to 168th & Harrison Street Tuesday morning at about 9:30 am. Employees told officers that the suspect entered the bank, motioned as if he had a weapon and demanded money. After receiving money the suspect fled westbound through the neighborhood. 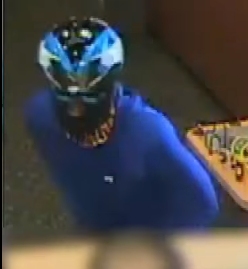 The suspect was described by police as a short and skinny unknown-race male, wearing a blue long-sleeve shirt, a scarf, mask, dark pants, and a bicycle helmet. Anyone with information is urged to contact Omaha Crime Stoppers at 402-444-STOP, at www.omahacrimestoppers.org or on the P3 Tips mobile app. 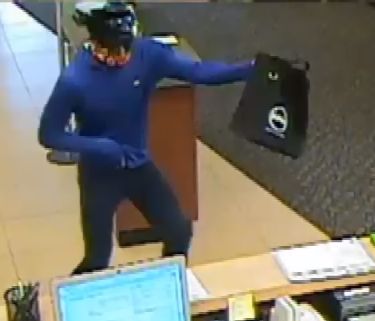 Tips leading to arrests in bank robberies are eligible for a $20,000 reward.